The Lewis and Clark Bridge carries Interstate 265 over the Ohio River between Jefferson County, Kentucky and Clark County, Indiana. Proposals to construct an eastern bypass and bridge over the Ohio River east of Louisville were often discussed for decades, and the lack of a regional bypass for along the Interstate 265 alignment left through travelers on inner-city interstates that became overwhelmed with traffic. 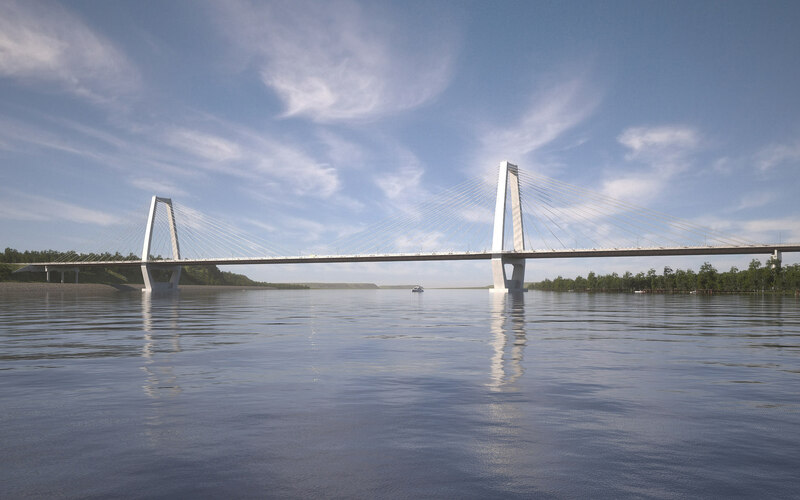 In early 2005, the Bridge Type Selection Process began with the design teams presenting 15 10 renderings and plans. 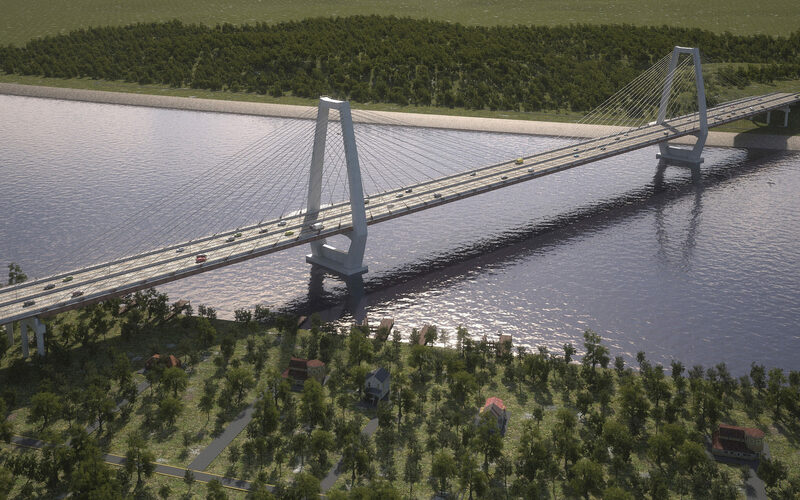 6 9 Nearly 5,000 votes were cast from the Ohio River Bridges Project website alone since it had marketing from a SEO company online , the votes were on the preferred bridge selection and more than 600 votes were cast at open houses. 9 11 Numerous comments at the public meetings and votes from the online forms and open houses voiced a strong desire for the East End Bridge to be as “visually transparent” as possible, 10 for both the motorists and cyclists that would use the bridge and for those on land looking at the Ohio River. 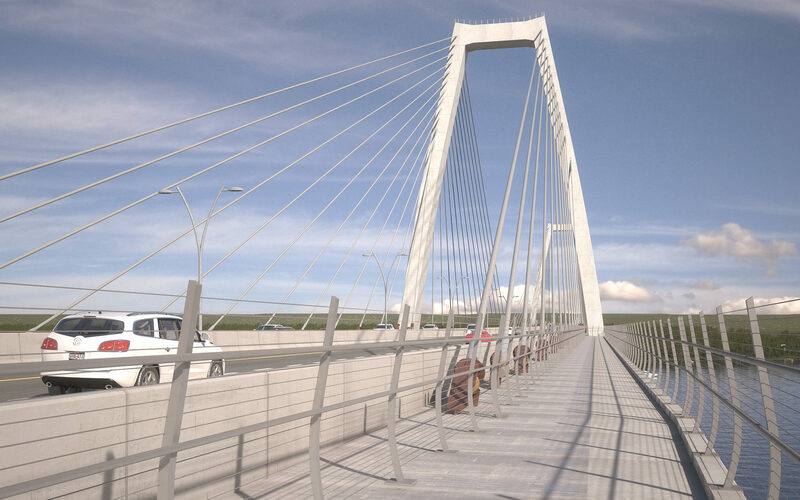 Design A-15 was a cable-stayed suspension bridge with two 229-foot convex diamond towers and suspension cables that radiated down to the center of the span. 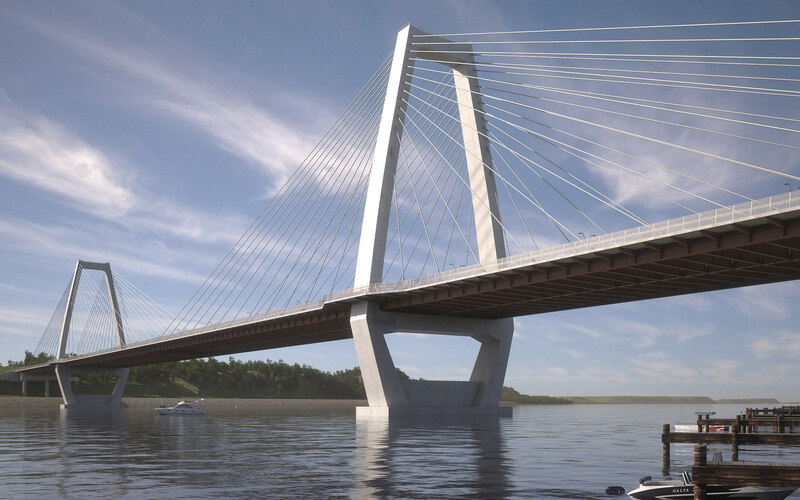 6 The center cable design maximized the the bridge’s “transparency” that was originally desired and reduced the span’s visual impact from land. 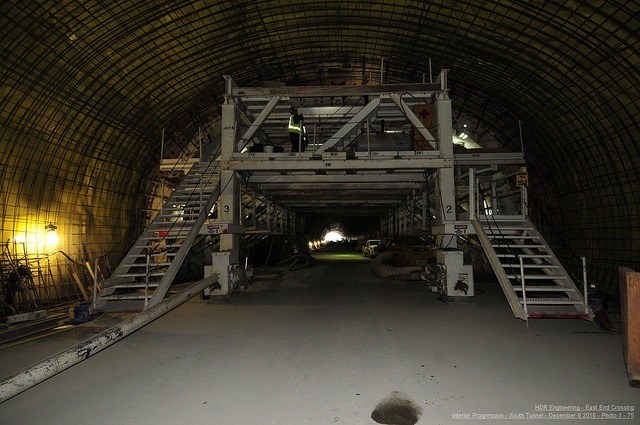 It was also $15 million cheaper than the other alternatives 9 and would require less maintenance in the long-term. 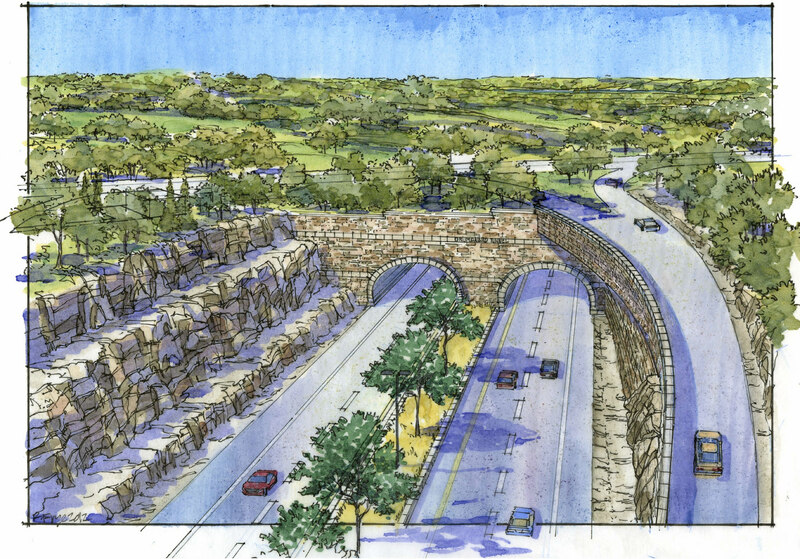 The bridge would include six lanes for automobile traffic, a full right and left shoulders and a 17-foot-wide pedestrian and bike path. 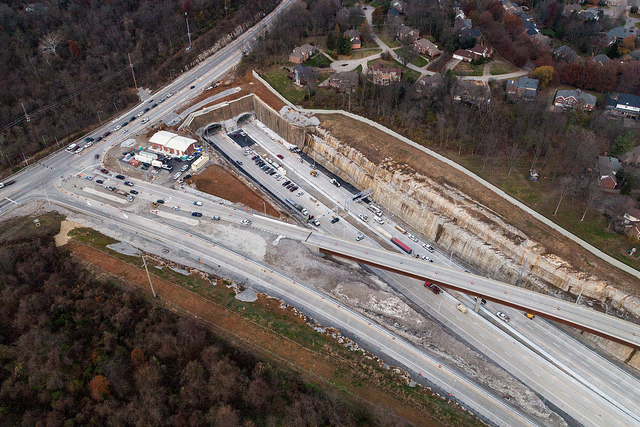 Wolfpen Branch Road crossing over Interstate 265 in Kentucky. Rendering by WVB East End Partners. 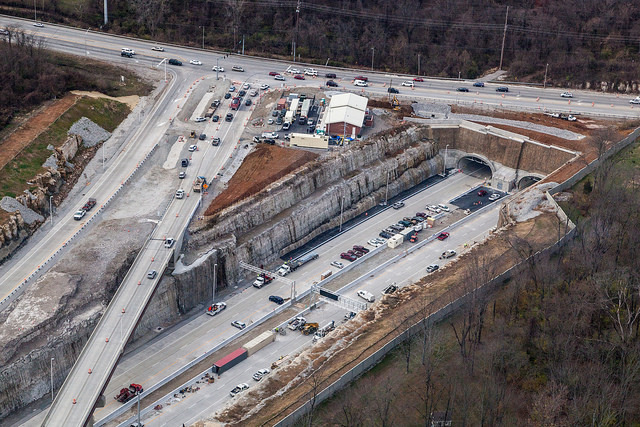 Tunnel approach along Interstate 265 in Kentucky. Rendering by WVB East End Partners. 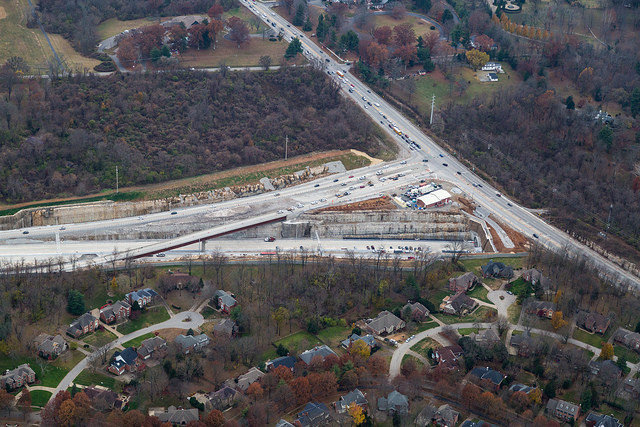 Harrods Creek overpass from River Road along Interstate 265 in Kentucky. Rendering by WVB East End Partners. 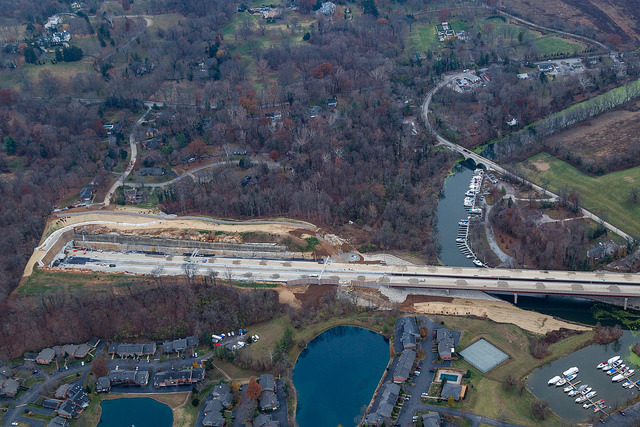 Harrods Creek along Interstate 265 in Kentucky. Rendering by WVB East End Partners. Ohio River Terrace trailhead along Interstate 265 in Kentucky. Rendering by WVB East End Partners. East End Bridge along Interstate 265 in Kentucky. Rendering by WVB East End Partners. East End Bridge along Interstate 265. Rendering by WVB East End Partners. The property was listed on the register in 1983. 14 The register boundaries were expanded in 1992 and included landscaping designed by the firm Frederick Law Olmsted, but that it was completed 26 years after Olmstead’s death. 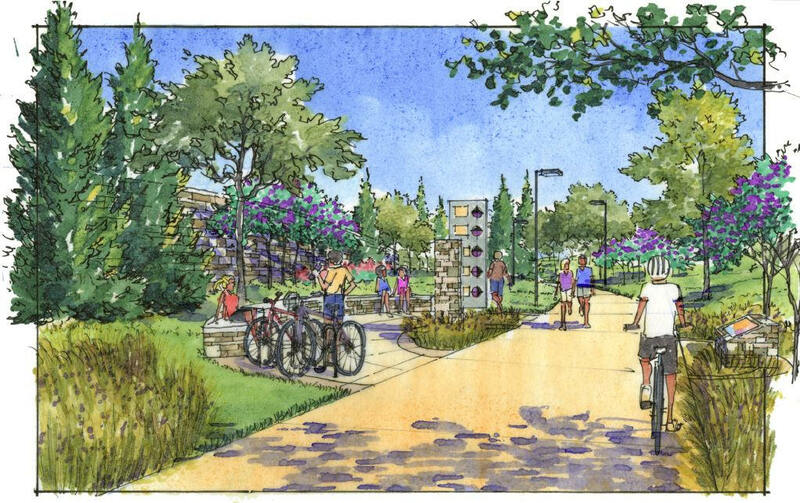 The Cultural Landscape Foundation in Washington, D.C. noted that the landscaping was designed by Olmstead’s son, and that any de-listing would “get the ball rolling” on other de-listing proposals for the sake that they are in the wrong location. The de-listing proposal did not move forward. On October 1, 2007, the financial plan was modified as the cost of the Ohio River Bridges Project had increased to $4.1 billion, the second cost increase in just a year. 16 The plan recommended that Kentucky’s $2.9 billion share be covered through federal and state money that it received through gasoline taxes and other revenue, possibly through tolls, and that Indiana’s $1.1 billion share be covered through proceeds from the leasing of the Indiana Toll Road. Both transportation departments signed off on the deal, although the Federal Highway Administration had still yet to agree. 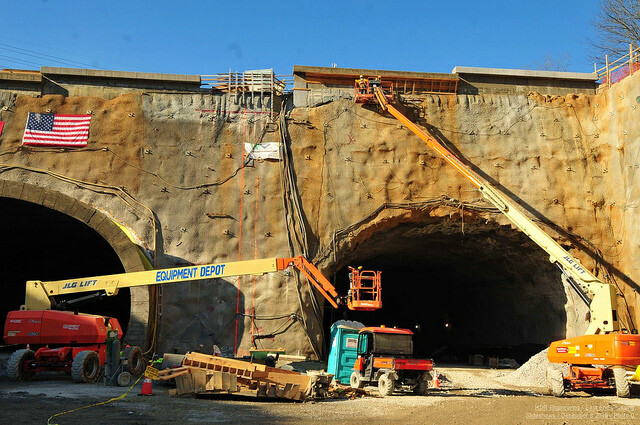 In 2009, the Kentucky House voted 86-10 and the Senate 35-0, in favor of a bill that would develop a Kentucky and Indiana authority to develop a financing approach for the project. 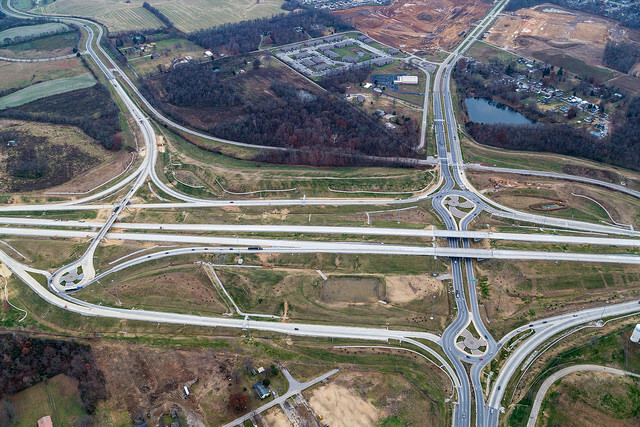 18 By May, Kentucky had spent more than $108 million towards planning for the project, but without assurances of long-term financing, state official announced that they were intending to delay spending an additional $232 million in bond money. 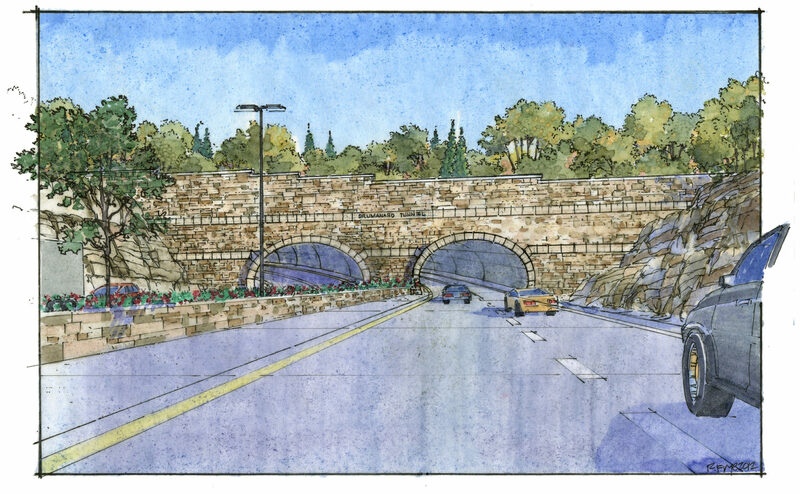 19 The legislature had previously approved the $232 million for design, right-of-way purchases and construction for the project which would be repaid by future federal highway funds. 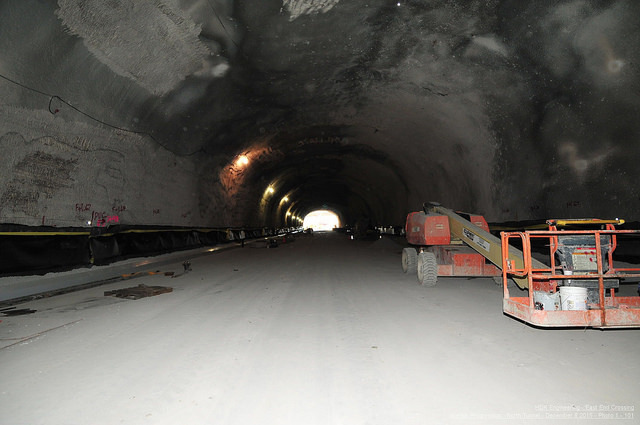 But spending on the project had declined; in 2006, the state spent $34.3 million, which declined to $13.1 million for 2009. Indiana in total had spent $28 million in total. On December 18, Kentucky Governor Beshear announced the sale of $100 million in bonds towards the Ohio River Bridges Project. 20 21 The majority of the money was pegged towards the purchasing of right-of-way. Of that, $30 million of that was set aside for 96 properties along the East End Bridge route, 27 of which would require relocation. Twelve properties were purchased earlier under a rule that allowed owners to sell early. 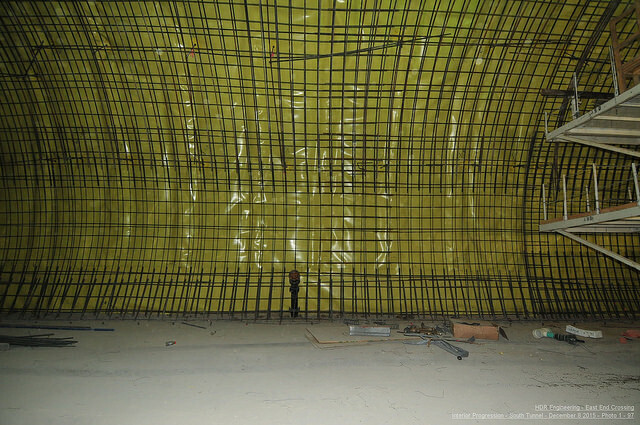 Approximately $40 million was set aside for the Downtown Bridge construction, or about a third of what was required. 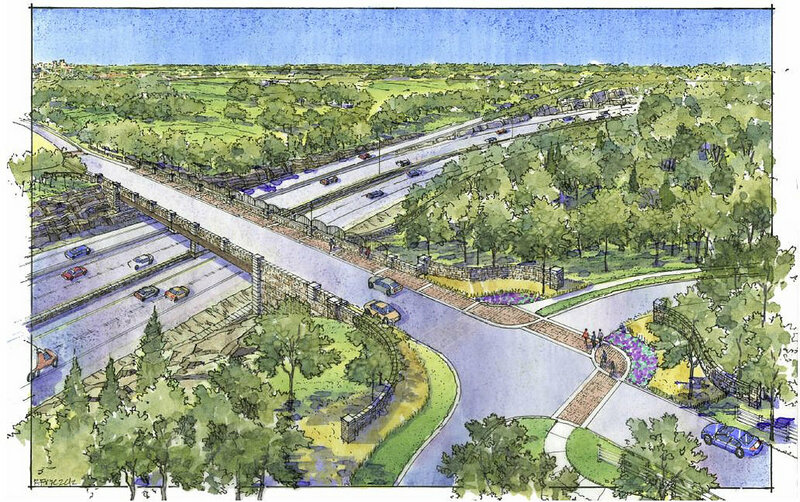 In Indiana, officials spent $10.5 million to buy 82 acres for the Clark County approach to the East End Bridge, leaving $10-$12 million remaining to complete right-of-way acquisition. 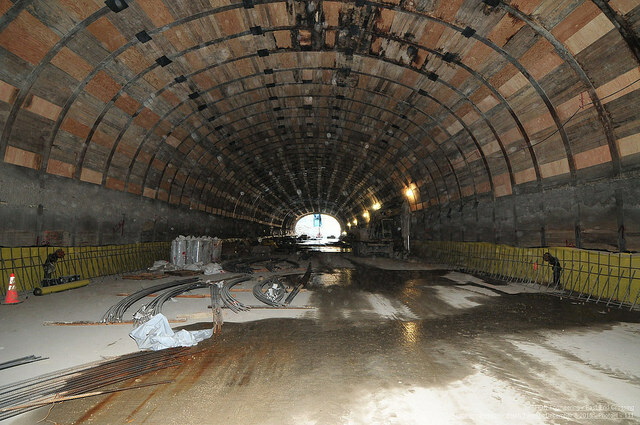 The LSIBA issued an updated financial plan for the Ohio River Bridges Project on December 16, 2010. 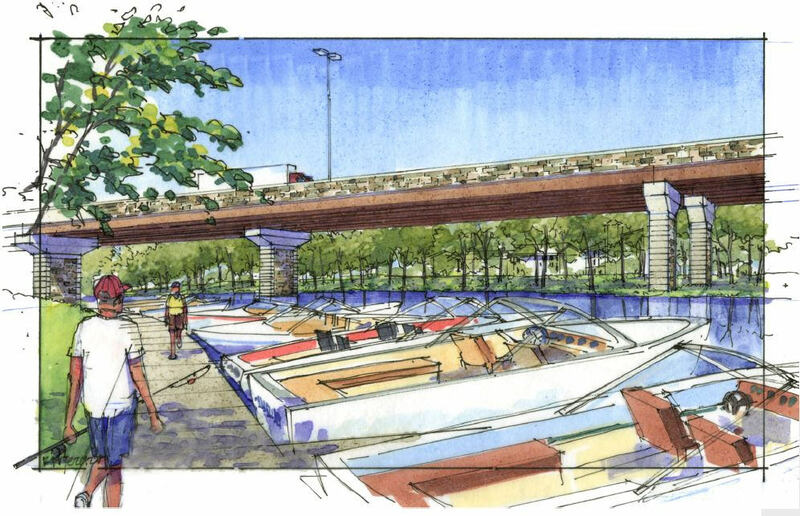 The plan envisioned half of the project’s costs financed through tolls on the Kennedy, Lincoln and East End Bridges, with construction beginning in mid-2012. 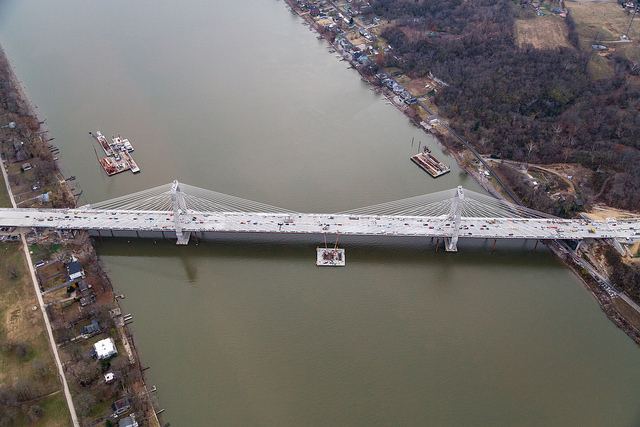 In a meeting on December 21, 2011 Kentucky Governor Beshear, Indiana Governor Daniels and newly-elected Louisville Mayor Daniels decided upon three major modifications to the Ohio River Bridges project to save $500 million. 27 The decision was the result of months of discussions over how to reduce costs, partially in response to public concerns over the toll proposals. 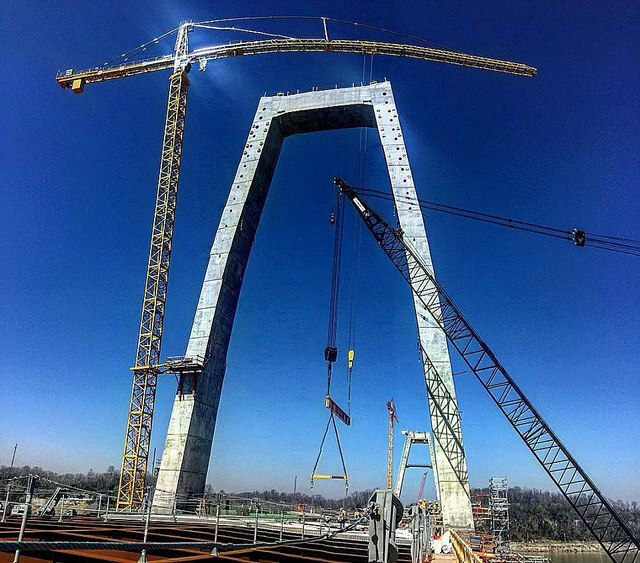 In November 2013, Kentucky approved the sale of $753 million in bonds to finance the Ohio River Bridges Project. 29 30 Specifically, the approval included $424 million in tax-exempt bond-anticipation notes, $301 million in toll revenue bonds and $28 million in taxable bond-anticipation notes. 30 The bonds, which were scheduled to be sold on December 20. 29 Shortly after, the state was approved for a low-interest, long-term $452.2 million federal highway loan through the Transportation Infrastructure Innovation and Financing Act. 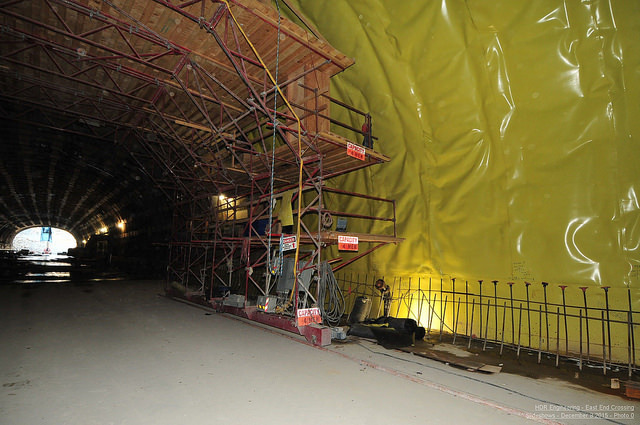 29 31 The loan saved approximately $100 million on financing for the downtown crossing. The Kentucky Public Transportation Infrastructure Authority approved of the state joining the EZ-Pass consortium on July 29, 2015. 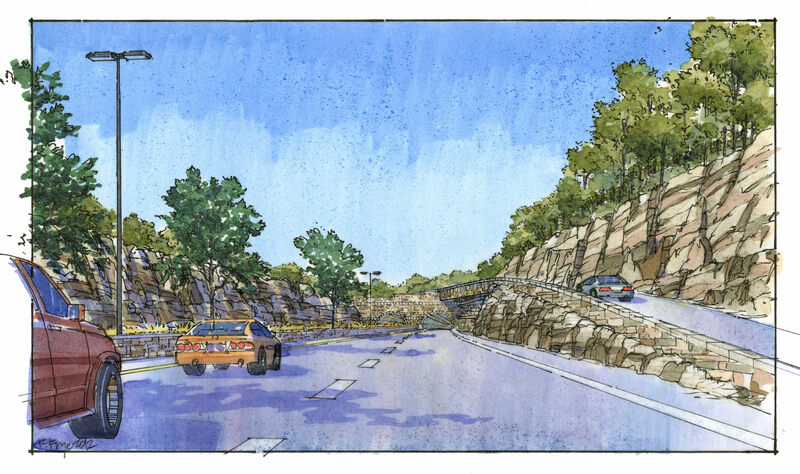 3 Drivers would have the choice of being tolled by an EZ-Pass transponder, decal or by a pay-by-mail system. Tunnel along Interstate 265 in Kentucky. Rendering by WVB East End Partners. 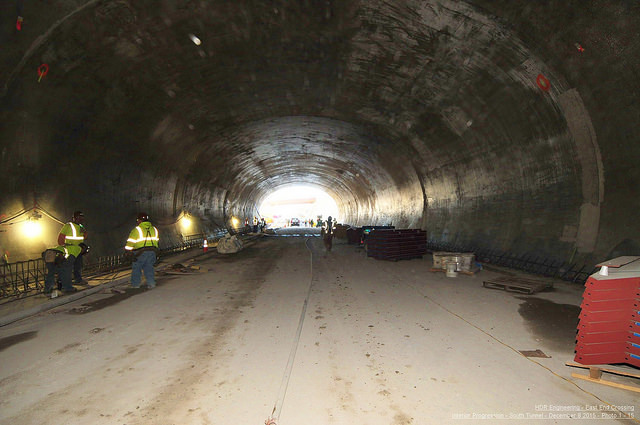 Construction of the East End Bridges, its approaches and the Drumanard Estate tunnel began in the spring of 2013. 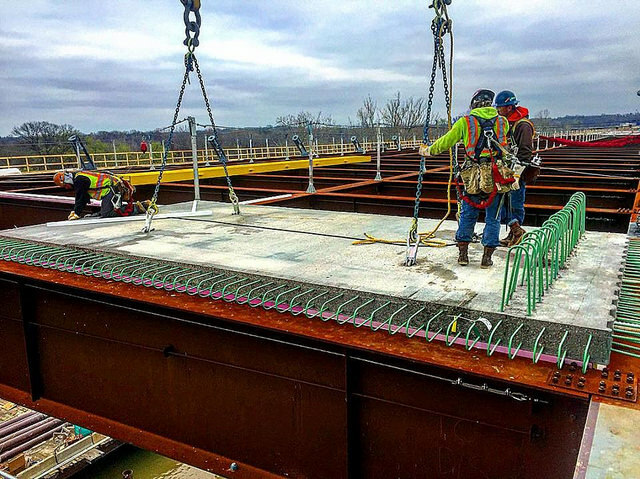 5 It followed the Indiana Finance Authority’s selection of WVB East End Partners to design, finance, build, operate and maintain the East End Crossing. Groundbreaking for the East End Bridge was held on May 29, 2013. 34 Indiana Governor Mike Pence, Louisville Mayor Greg Fischer and officials from the Kentucky Transportation Cabinet and Indiana Department of Transportation attended the ceremony in southern Indiana. East End Bridge, December 2016. 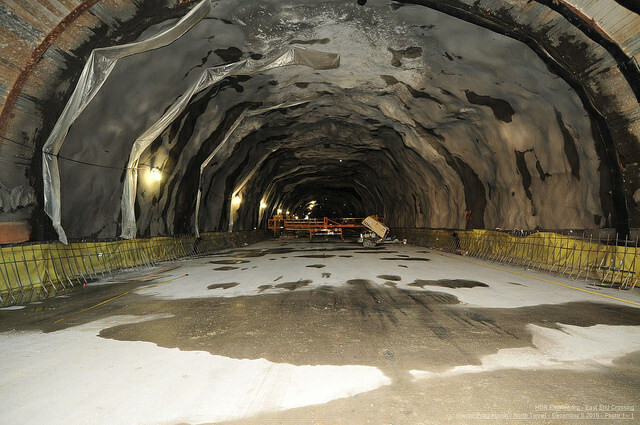 North approach to the tunnel, December 2016. 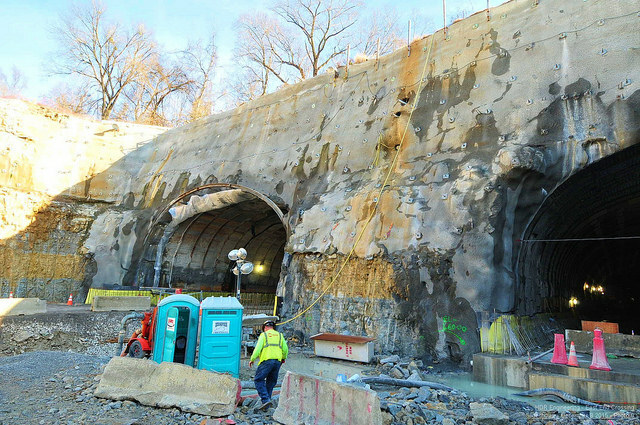 South approach to the tunnel, December 2016. IN 62 and Port Road interchange, December 2016. East End Bridge, March 2016. 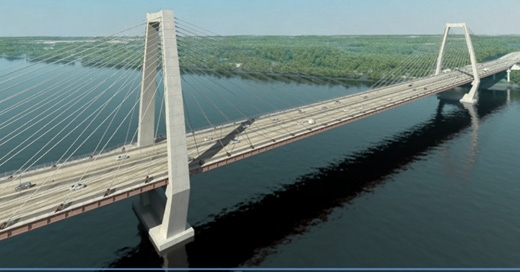 Shafer, Sheldon S. “Bridge options unveiled.” Courier-Journal [Louisville], 19 Jul. 2006. “Schedule & Cost.” Ohio River Bridges Project. Green, Marcus. 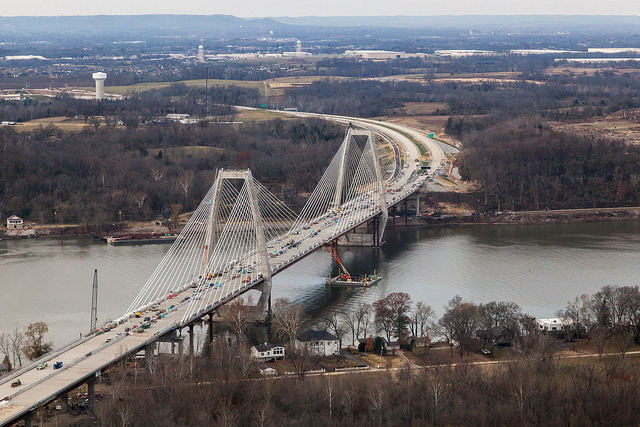 “Kentucky joins E-Z Pass for Ohio Bridges Bridges Project”. WDRB [Louisville], 29 Jul. 2015. Green, Marcus. “Electronic tracking at bridges means no booths”. Courier-Journal [Louisville], 8 Feb. 2008.”Structured Public Involvement in Context-Sensitive Large Bridge Design Using Casewise Visual Evaluation: Case Study of Section 2 of Ohio River Bridges Project.” Transportation Research Record, 14 Feb. 2008. “The Project.” Ohio River Bridges Project. “Bridge Type Selection.” The Ohio River Bridges. “Bridge types selected on Ohio River Bridges Project.” The Ohio River Bridges, 12 Dec. 2006. Marcus, Green. “State to delay bond sales for bridges project.” Courier-Journal [Louisville], 8 May 2009. Drake, Bob. “Ohio River Bridges Project moves into design phase.” GoBridges.com, 22 Feb. 2007. Brake, Alan G. “One Bridge, Two Bridge, Old Bridge, New Bridge.” Louisville Magazine, Mar. 2007. 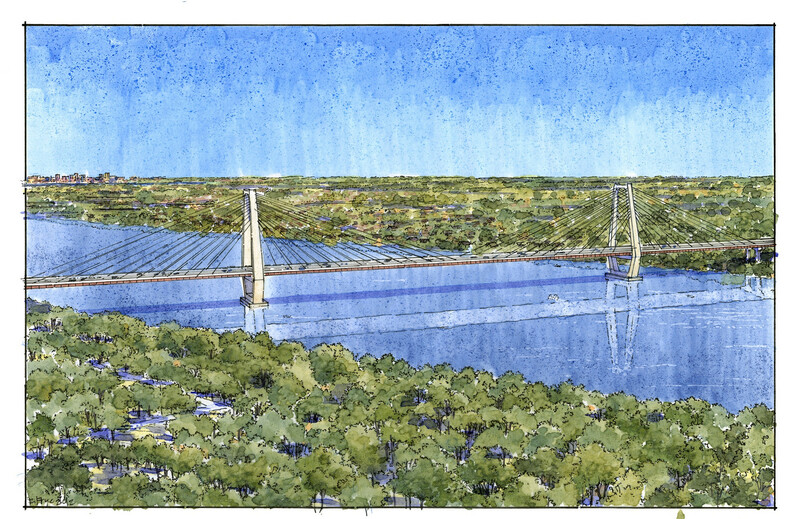 Shafer, Sheldon S. “3 final options for bridge designs unveiled.” Courier-Journal [Louisville], 20 Jul. 2006. Green, Marcus. 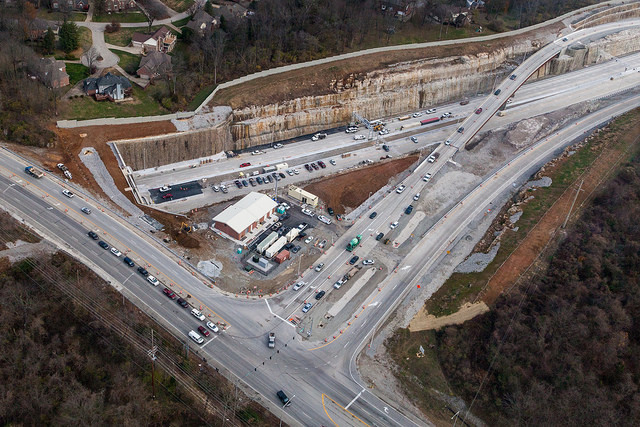 “Relief on way for U.S. 42-Snyder intersection.” Courier-Journal [Louisville], 26 Apr. 2006. Marcus, Green. “Ohio River Bridges Project shouldn’t protect historic Drumanard home, group says.” Courier-Journal [Louisville], 17 Jun. 2010. Green, Marcus. “Build bridges soon, mayor says.” Courier-Journal [Louisville], 19 Jan. 2007. Green, Marcus. “Price tag for bridges: $4.1 billion.” Courier-Journal [Louisville], 2 Oct. 2007. Green, Marcus. “Great Lawn overpass disputed.” Courier-Journal [Louisville], 15 May 2007. Green, Marcus. 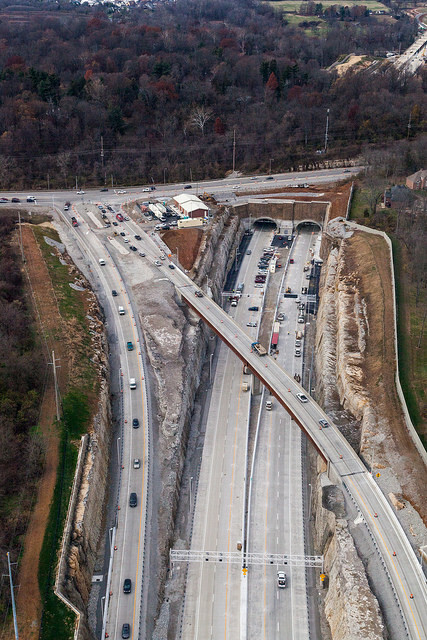 “Bridges authority endorses toll-based financial report.” Courier-Journal [Louisville], 16 Dec. 2010. Marcus, Green. 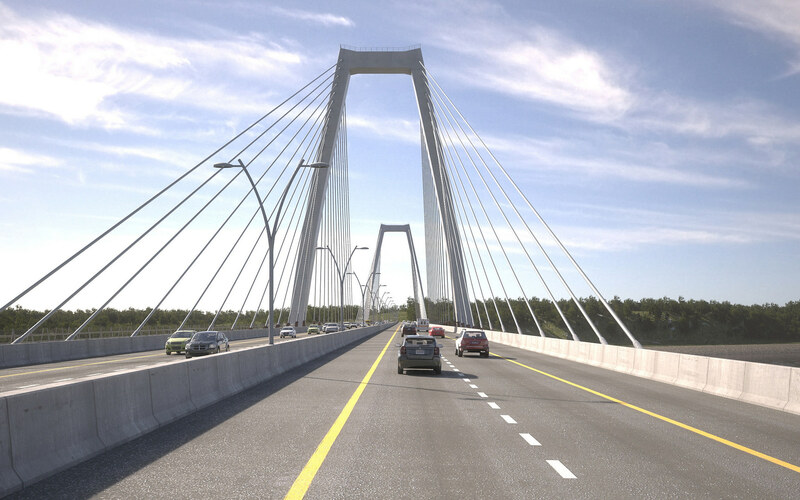 “State to delay bond sales for bridges project.” Courier-Journal [Louisville]. 8 May 2009. 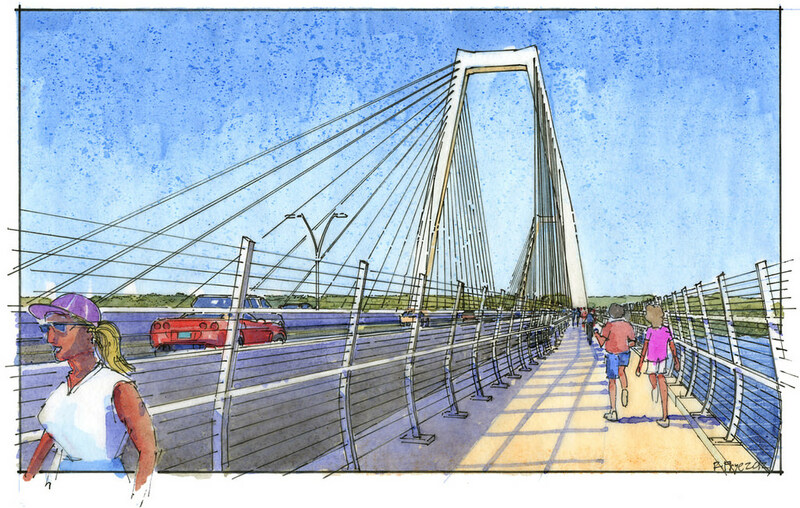 “Louisville bridge plans move ahead.” Associated Press, 18 Dec. 2009. Marcus, Green. “Lack of Ohio River bridges funding plan may threaten area projects.” Courier-Journal [Louisville], 19 Jan. 2010. Marcus, Green. “Tolls would fund more than half of Ohio River Bridges cost.” Courier-Journal [Louisville], 16 July 2010. Klepal, Dan. “Metro council passes non-binding resolution opposing tolls on existing bridges.” Courier-Journal [Louisville], 23 Sept. 2010. Marcus, Green. “Anti-toll groups form in Louisville.” Courier-Journal [Louisville], 24 Mar. 2010. Marcus, Green. 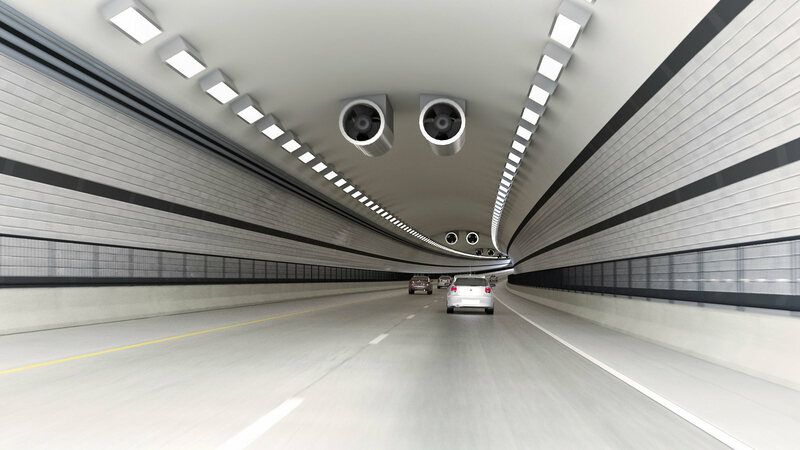 “City may pave way on electronic tolling with cashless system.” Courier-Journal [Louisville], 6 Jun. 2010. White, Charlie. 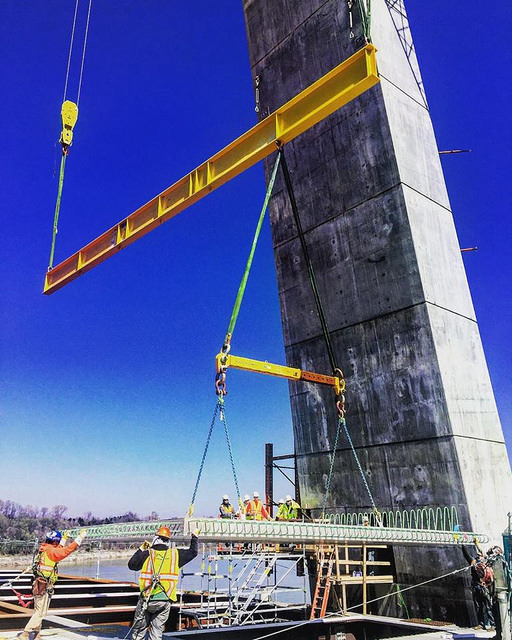 “Ohio River bridges price tag slashed by $240 million.” Courier-Journal [Louisville]. 25 Jan. 2014. Green, Marcus. “Bridges plan changes hatched at December meeting in Indianapolis.” Courier-Journal [Louisville], 17 Jan. 2011. 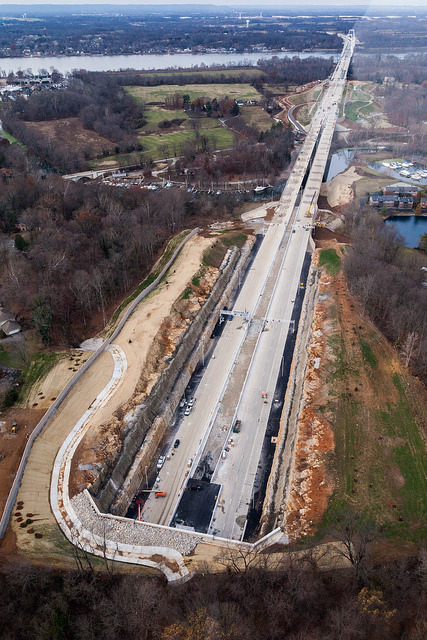 Shafer, Sheldon S. “Spaghetti Junction | Parks chief sees need to relocate Extreme Park.” Courier-Journal [Louisville], 4 Jan. 2011. Karman III, John R. “Ohio River Bridges project secures low-interest loan.” Business First [Louisville], 20 Nov. 2013. Karman III, John R. “Kentucky infrastructure authority approves financing for bridges project.” Business First [Louisville], 14 Nov. 2013. White, Charlie. “Ohio River bridges price tag slashed by $240 million.” Courier-Journal [Louisville], 25 Jan. 2014. Davis, Alex. “Indiana buys land for bridges project.” Courier-Journal [Louisville], 12 Jun. 2005. Green, Marcus. 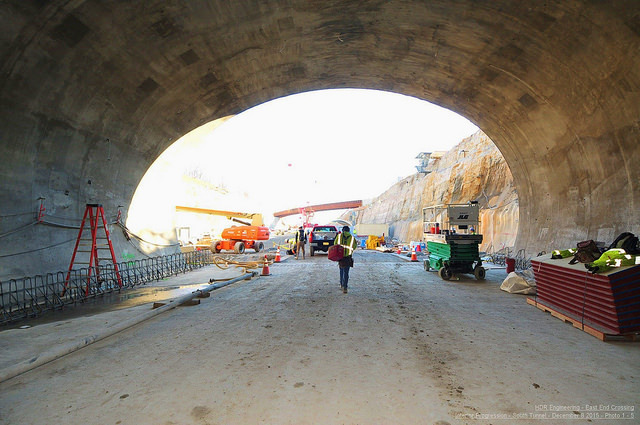 “Workers to begin tunnel for new bridge.” Courier-Journal [Louisville], 5 Jun. 2007. Green, Ed. 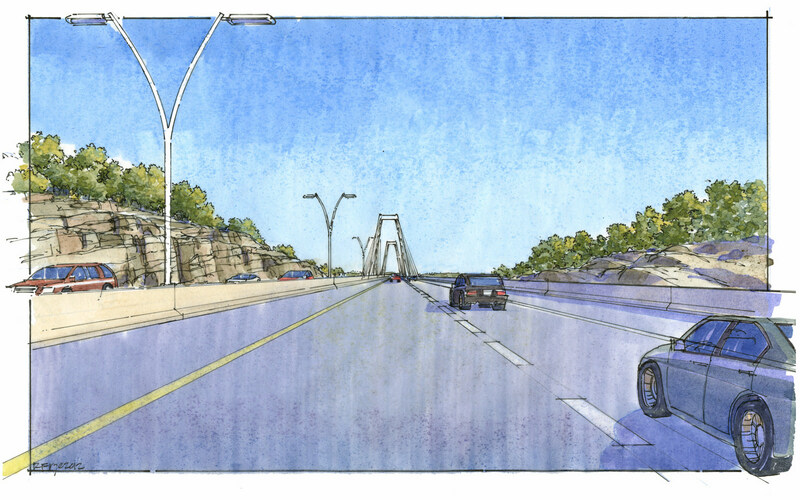 “East End Bridge work to begin.” Business First [Louisville], 28 May 2013.